From the renowned Robert Trench Jones Golf Trail to the Birmingham Museum of Art, there endless attractions and entertainment for Boomers and Seniors to enjoy in Birmingham, making this historic southern city one of America's hidden gems when it comes to retirement.  Below is a detailed list of independent living facilities throughout greater Birmingham, Alabama. With plenty of options to choose from, not all communities are the same. So, when researching your next residence you should choose according to what best fits your needs and lifestyle. Fair Haven is a full continuum of care retirement community. We offer Independent Living, Assisted Living, Memory Care, Skilled Nursing Care and Short Term Rehabilitation in a Household Environment. This allows our residents to have a loving home for life. Fair Haven was built in 1961 and began new construction and renovation in February 2016. Our new Assisted Living Households, Long Term Care Households, and Rehabilitation Households all opened in March 2017. New Independent Living and Assisted Living apartments are under construction and anticipated to finish in the fall of 2017. Fair Haven is a faith-based community and part of Methodist Homes for the Aging. Our residents enjoy the pleasures and benefits of experiencing the newest and most innovative retirement lifestyle available in Birmingham. Residents of our continuing care retirement community (CCRC) enjoy an engaging lifestyle with a selection of care options to meet changing needs. From independent living and assisted living to Alzheimer’s and dementia care and rehabilitation and skilled nursing, transitioning between levels of care is simple..
At Danberry at Inverness you'll love our resort style community. We have one, two and three bedroom apartments for rent, as well as private assisted living suites and memory care available. St. Martin’s in the Pines is a not-for-profit retirement community founded in 1955. Our mission is to serve God through a ministry that provides a continuum of care and quality of life to aging individuals and their families. St. Martin’s in the Pines offers quality housing and healthcare in all levels of care: short term and long term skilled nursing, assisted living, memory care, apartments with services, moderate income independent living and companion and personal care services. At Mount Royal Towers, we truly believe that your retirement years can be the most wonderful time in your life. As a full-service senior community, we provide the care you need when you need it. To make life even easier, Mount Royal is also a community within itself and the energy here is contagious. Come explore a slice of life at Mount Royal Towers. Pleasant Villa is a family owned and operated facility and enjoys a sense of community because of its size - only 32 apartments. We have a strong connection with our residents and can provide them with as little, or as much, attention and service as they deserve and desire. As with all Independent Living facilities, we bridge the gap between complete independence that allows you to shop and cook and clean whenever you please by removing the necessity of having to shop, cook and clean. Discover the comfort and classic charm that is Regency Pointe, the premier senior living community in the South. Located near the banks of the Coosa River in Rainbow City, Alabama, our picturesque community is nestled among rolling hills, scenic forests and natural wildflowers. Offering residents four living options: active senior apartments, independent living, assisted living and memory care, Regency Pointe caters to discerning seniors wanting a carefree, comfortable, retirement lifestyle with the reassurance of a professional team available 24-hours a day to assist with their needs. Residents enjoy the highest standards of care and services, outstanding amenities and nicely appointed apartment homes available for rent, all within a warm, enriched environment steeped in southern tradition. When considering residential living options and long term healthcare, it can be daunting to navigate the financial considerations and documentation needed for these decisions. You do not have to go through this alone. Julie Marcus is an experienced, trained professional who can provide the insight you need — at no cost to you! Kirkwood by the River is a nonprofit Life Plan Retirement Community located in Birmingham, Alabama, offering Independent Living, Assisted Living, Memory Care Assisted Living, Skilled Nursing and Medicare Rehabilitation. Like the river outside our windows, our community offers a quality of life that flows gently through every season. Town Village offers spacious and comfortable apartments, exceptional dining, and cheerful housekeeping services. We also have an indoor heated pool and many more amenities and services to enjoy. At Somerby, our mission is to inspire and nurture successful aging each and every day, and we encourage every resident of our active rental retirement community to reach out and grab more of life while they keep control of their future. Nestled among the homes, parks and businesses of Birmingham's Highland Park, Episcopal Place offers affordable, independent living at its best. Meeting the needs of today's seniors and disabled adults. We provide high quality assisted living in a home-like environment. We are excited that we are adding 30 Independent Living apartments to our campus - Summer 2017! Skyline Village is a brand-new rental senior living community in Birmingham that is redefining independent living by blending the history and resources of Alabama's largest city with affordable options to meet the needs of local seniors. Cahaba Ridge Retirement will bring Residents a life of luxury. Our all inclusive monthly fee, with no hidden costs, allows Residents to relax and set a course for a dream-filled retirement. Residents can choose from a variety of spacious floorplans, join in daily leisure activities, relax in community lounges, and savor a variety of deliciuos foods.